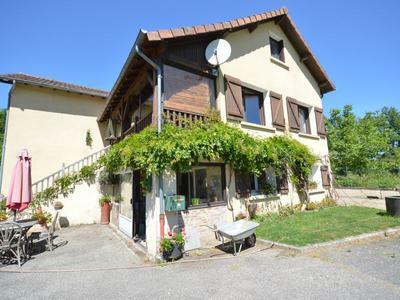 Spacious property with 5 bedrooms including 3 bedrooms in main house plus separate self contained APARTMENT with 2 bedrooms and own access, nearly 2 hectares of land, two LAKES, a garage and well maintained garden. 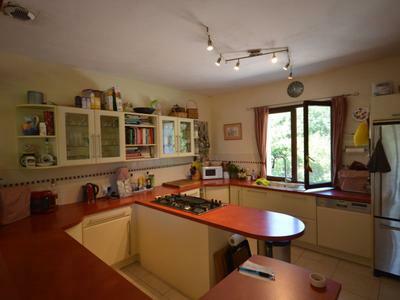 The property is approached via a long drive and is in a peaceful setting. Situated just on the edge of small hamlet with easy access to nearby amenities. The main house is divided into two with the main living area on first and second floor and includes 3 good sized bedrooms, a large bright open plan living room/ kitchen, lobby, two bath/shower rooms, a separate WC and conservatory with views over the garden and lakes. On the ground floor is a large self contained apartment with own entrance, conservatory, large open plan living area, bathroom and two bedrooms. 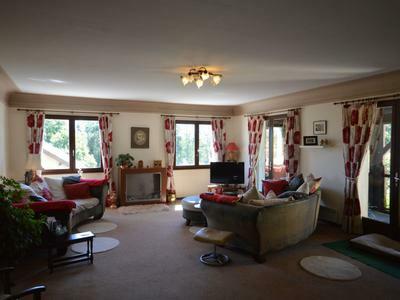 This apartment has been rented out in past as guest accommodation but would also be ideal as granny annexe. The property is heated by electric heaters in each room and there is a fitted ethanol fire in the main lounge. Outside is a garage and workshop. 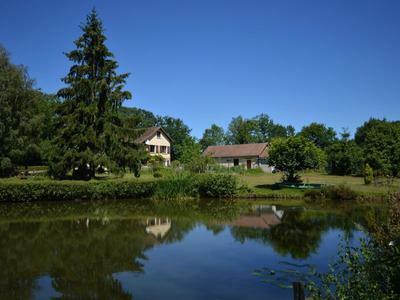 The property sits on a plot of just under 2 hectares and includes two spring fed lakes with fish approximately 1700m and 3700m2. Included in the 2 hectares are a separate fenced paddock area of approximately 3800m2 and a well maintained garden. The house, garden, land and lakes have all been looked after, the fosse is to current standards and property is ready to move into immediately.